You may look to fashion magazines or your zodiac sign for some style advice, but your hobbies? Not so much. From sports to travel to social media, we chose 7 short dresses that best complement your fave activities. Fall into more than one category? All the more options for you, doll. Scroll below to check out our summery picks. Across the world or across the state, this gal wants to see it all. She’s constantly on the go and loves to immerse herself in activities away from home. 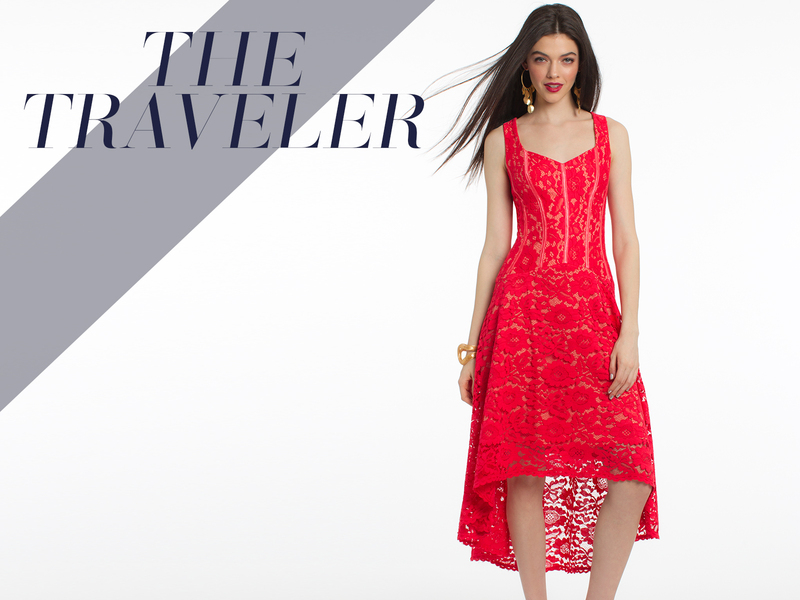 Whether the Traveler’s headed to a destination wedding or one right in town, an easy silhouette like this lace high low is comfortable for keeping up with her whereabouts. You could describe her as a “baller”; she’s into any sport from tennis to basketball. After school or on any given weekend, she could be found doing drills with her team at practice. The halter neckline on this short white dress effortlessly shows off her muscular arms, while the pretty lace adds some feminine flair. Perfect for relaxing during the off season. Ballet, freestyle, or anything in between; she makes a statement through movement, whether it’s a street performance or onstage in front of hundreds. The dancer needs a style that won’t hinder her moves, like this navy cocktail dress with a beautiful silky finish. Whether she’s a writer, painter, or a wizard with graphic design; the point is, she’s been bit by the creative bug. 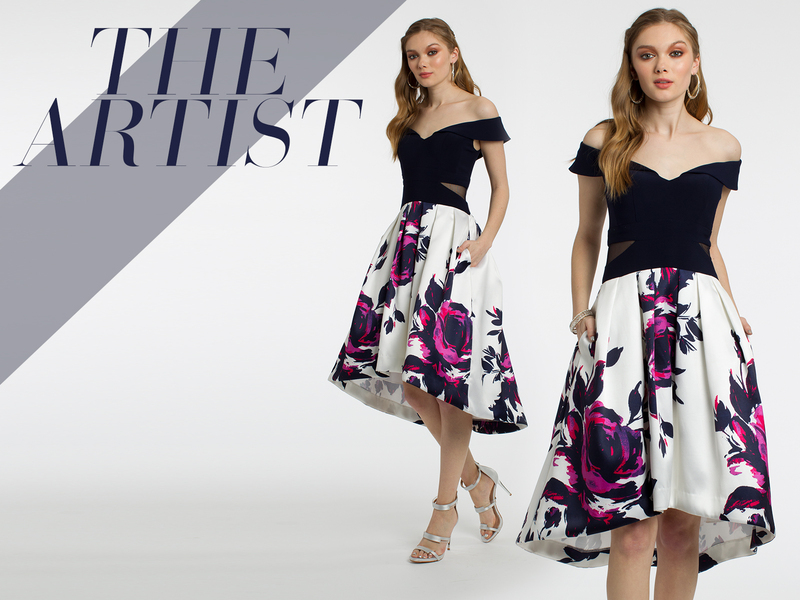 Why not show up to a formal event in a style that honors her artistic side? Enter, this high low dress bearing a gorgeous off the shoulder neckline and modern floral print. Talk about painting the perfect picture of style. She has hashtags down to a science, constantly analyzes her “ratio”, and filters her feed to perfection. Captioning her photos becomes a roundtable discussion. 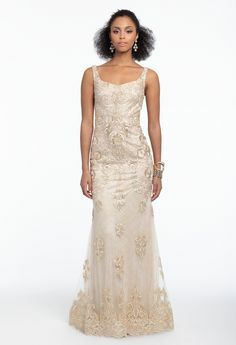 She’s on her way to becoming Insta-famous, and needs an adorable dress to complement her collection of photos (maybe for an adorable Boomerang twirl?) This illusion plunge dress is figure-flattering and sure to get her followers talking. Total #ootn. Yoga, spin, Cross Fit; she loves to be active and most definitely has a fitness fam. Since she spends most of her time in spandex, she’ll feel perfectly comfortable in this form-fitting shortie in a poppy pink shade. Not to mention, the cutout back will show off every well-earned muscle. Hiking, gardening, strolling through the park; no matter what it is, she loves to be out in the elements. And does anything resemble sunshine like this floral halter dress? We think not. This adorable style was made for the outdoors from vacay to beach wedding and beyond. Slip on some pretty sandals and it’s good to go. 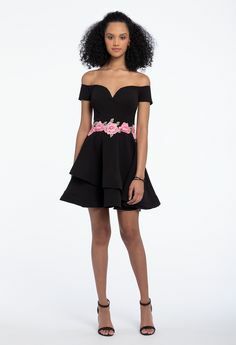 Find more summer party dresses on CLV.com!